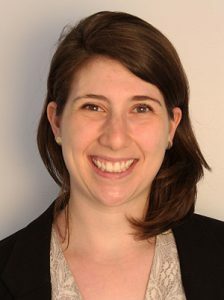 Kara Kaufman is the Press Secretary at Corporate Accountability International (CAI), a nonprofit that fights corporate abuse and protects human rights both nationally and internationally. Sydney Smith, Kenan’s Pathways of Change intern placed at CAI, conducted this interview with Kara in CAI’s headquarters in Boston. The following is a narrative of the interview, touching upon her Washington D.C. upbringing and experience as an organizer before arriving at CAI. Where did you grow up and what were your early years like? Growing up in Washington DC, I was surrounded by families working in government and politics. It made me realize that we as individuals can really influence policy and policy makers. Exposure to DC and the corresponding political climate made me realize that people’s voices are powerful—and they can make a huge difference. How did you become interested in corporate responsibility and specifically media? Did you work on other issues before focusing on the work at CAI? What explains the evolution of your interests? During the summer of 2010, I biked more than 600 miles in Massachusetts and worked as part of a team to address climate change. During Climate Summer, we rode from town to town–exclusively by bike–and led leadership and development workshops and trainings on the science of climate change. We spent about a week in each town, where we connected with community members and shared skills to address climate change. During my time with Climate Summer, I worked as our media coordinator. I learned how to generate media coverage and organize, which sparked my desire to learn organizing skills and how to shape media around issues. I also participated in Green Corps where I worked on GMO labeling, climate change, water conservation, and the influence of corporations in climate policy. This exposure opened my eyes to the havoc corporations can wreak in climate policy and negotiations. What does your work at CAI entail? What does your day-to-day look like? As press secretary, I primarily communicate the work done on campaigns to reporters, generate press content, communicate via phone, email, etc. I am the one who finds the spokespeople of the organization, and I explain the art of communicating and media to those on our staff. What are the most rewarding and challenging parts of your current work? The most rewarding part of my work is when I see staff members speaking with reporters and shaping media—when they are able to share their passions and fight for corporate responsibility and social change. On the other hand, a large challenge we face at CAI is being able to cut through all the noise of media and make sure the attention of media is where it should be. Nowadays, reporters are producing more in less time, so it can be a challenge to secure the media attention and focus around issues that really deserve to be exposed. In what ways has your work at CAI changed your views about corporate accountability/business and human rights/social change? One of the biggest shifts in my worldview has been my recognition of the importance of international and national regulatory bodies, such as the United Nations, and how important it is to enforce treaty provisions. When this happens, we save lives. Regulation and enforcement are essential tools to check the power of trans national corporations. I have also learned that organizations with smart strategies can bring about large social change. I’ve been reminded of this time and time again at CAI. What advice do you have for students who want to work in the area of business and human rights? I think everybody’s path is unique. There are so many opportunities and so much need to ensure that we are prioritizing the needs of the planet. My advice to students would be to plug into organizing at any level that is available, whether it is on campus or otherwise. It was helpful to get a taste for organizing as a student. It provides an avenue and context for social change. Organizing is not taught in the classroom. Students should look outside for opportunities to engage further and find causes that excite and motivate them!